Grow Now: Flowering Trees Magnolias brighten the sky with their tulip shaped blooms in late winter. Other trees that begin to bloom now include flowering plums, cherries, crab apples, and red buds. Red buds are dependable and very easy to grow. Try starting them in a lovely garden pot and eventually transplant to a nice area in your yard. 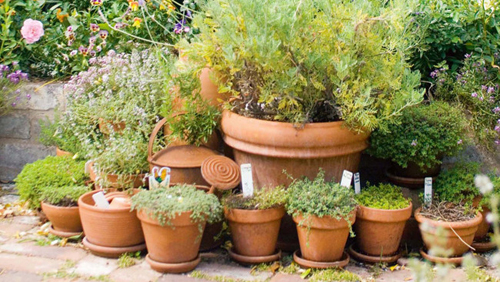 Grow Herbs - Thyme, chives, sage, and basil are nice to have nearby when you are cooking. Ready to grow herb kits are available and take much of the guesswork out of growing herbs from seeds. However, purchasing a herb trio planter set and then getting the seeds that you really like from your local nursery is also very easy to do. We sell the pots. Note Spring's arrival - A sunny day in winter is all it takes to create March Madness - the sudden urge to go outside and start planting your summer garden. The first day of spring arrives on March 20, and though it means the season has officially changed, it does not mean cold weather is over, and it may not coincide with the last frost date in your area. So what can you plant? Snapdragons, marigolds, nasturtiums, petunias, and dianthus can handle the cool days. Lawn care - Fertilize cool-season lawns such as Kentucky bluegrass, tall fescue, and perennials rye grass now. 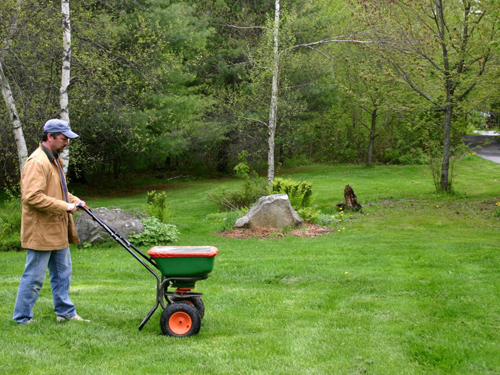 Wait to feed warm-season lawns such as St. Augustine and Bermuda until after they turn green. 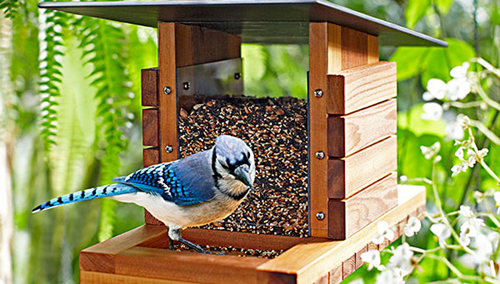 Attract Bluebirds - Encourage bluebirds with well-build and handsome new boxes. Good ones always have access for easy cleaning. Place them in open areas away from shrubs, 4 to 5 feet above ground. Bluebirds like having clear flyways from their boxes to fences that make good perches. They are capable of eating large quantities of lawn and garden insects and are among the most loved and beautiful of all birds. Look for houses here at Arizona Pottery.